We wandered through markets in Laos at the break of dawn. 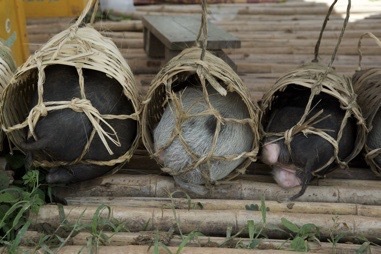 Small pigs were stuffed into customized baskets that came with a handcrafted handle on top, making sure that they could easily be strapped at the back of the moped. 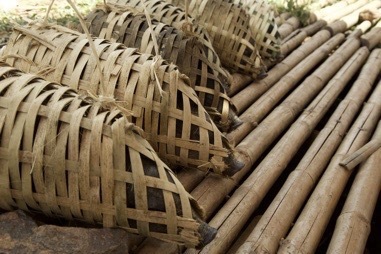 Some made sure to tie a branch or a few leaves on top to protect the bacon from self-cooking underneath the burning sun. 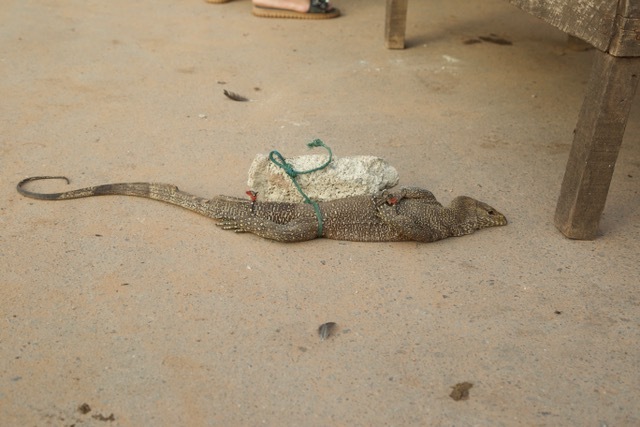 One can get just about anything at the market – sticky rice and fish for breakfast, a live, back-tied lizard for dinner, or a few very dead squirrels, if you like. How about a traditional skirt or a brand-new hairdo? It’s all available at the market. As well as the stares, the pointing of fingers, the giggling and the unashamed calling in Adrian’s direction. 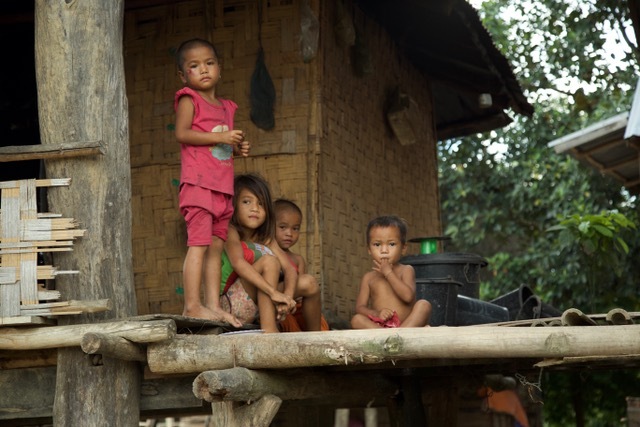 A few hours into the day we reached the village in the jungle of Laos and the local kids stared skeptically at us. We realized that they had probably never seen white people before. The babies glanced at us before screaming in horror. It took a few minutes before the tiny ones calmed down in their mothers’ arms. The elders watched it all and smiled while shaking their heads. They certainly remembered the presence of white people. All of it. And they still welcomed us. 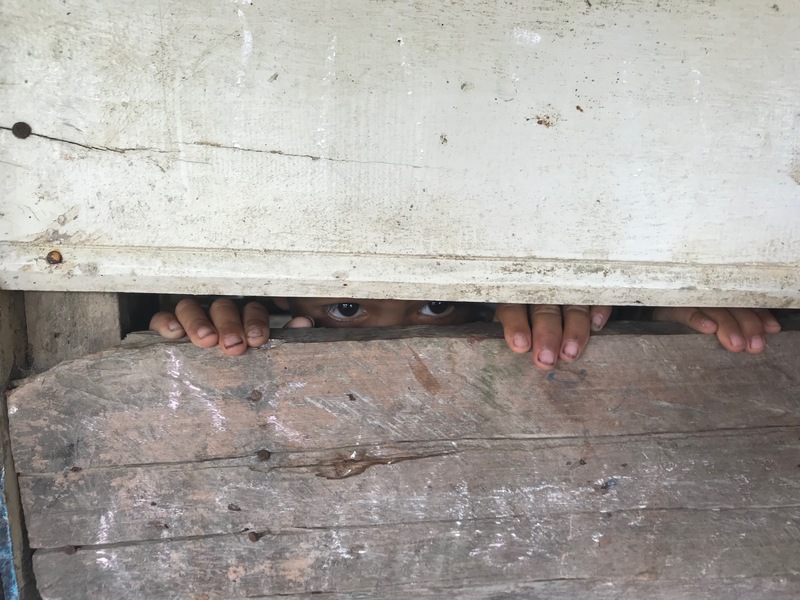 As I walked through the village, surrounded by goats, chicken and pigs – all of them free-range, I thought about how just a few hours on an airplane had brought us straight into an alternate reality. Gone were the cars, the machines, TV and social media. Instead, people were present, forcing me to be present, too. I welcomed it. 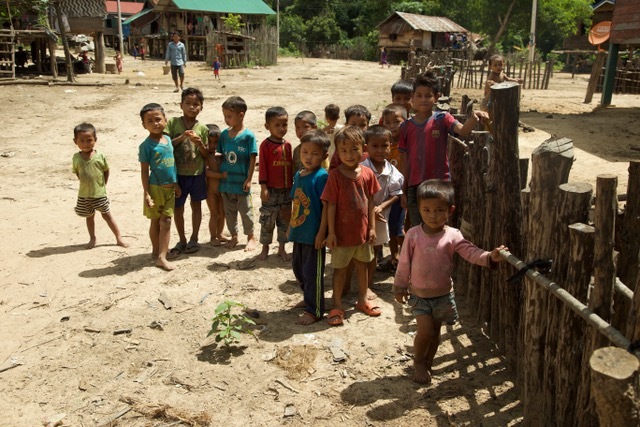 We were visiting the outback of Laos, tagging along an organization who faithfully invest in the future of the country by providing schooling for Lao kids. Over the course of a few days, we met hundreds of kids, some of whom would get their lives changed. The local village chiefs had gathered the people of the village to decide who would get to go to school. Together they had come up with the poorest of the poor, and carefully handpicked the 15-20 children who would get an education. The entire village rejoiced – some of their kids would go to school! My heart broke. They celebrated what we take for granted. Sometimes gratitude can actually feel shameful. Some parents really wanted their child to go to school, but they realized that their poor neighbor needed it even more, thus nominating the neighbor kid to go to school at the expense of their own dreams. I was humbled. Sending my children to school was a privilege that I had taken for granted. Others were hesitant to send their oldest to school. 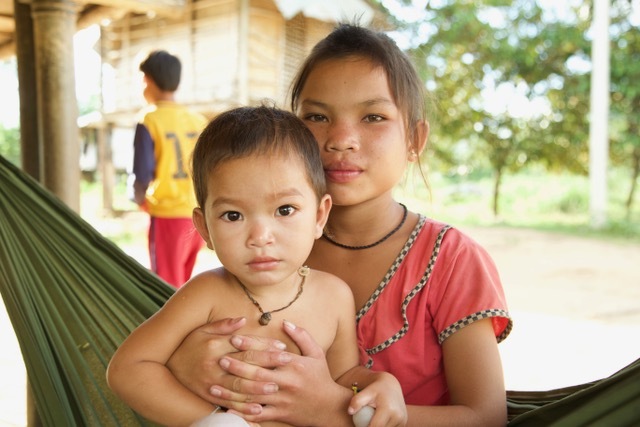 Who would then be looking after the younger children while their parents were searching for food in the jungle? The child mortality rate is staggering. Most of the parents we talked to had lost at least one child. 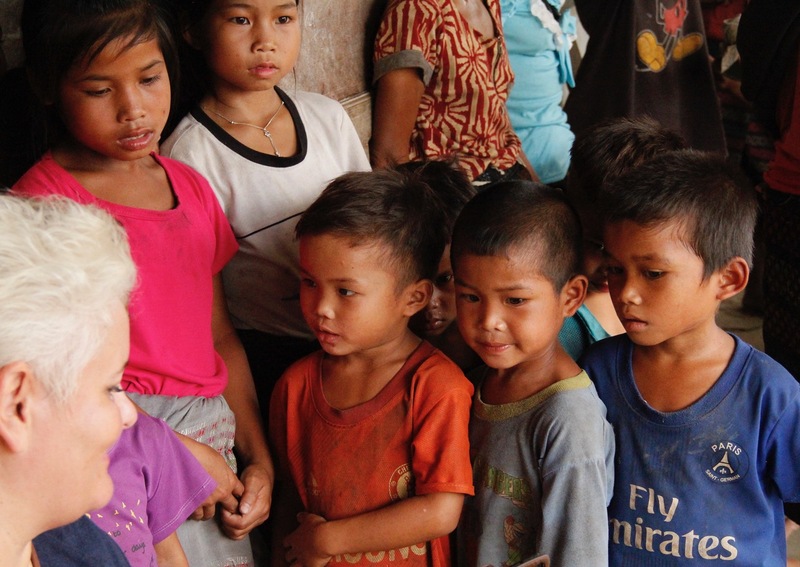 One mother told us that she had given birth to 10 children. 4 of them were still by her side. It warmed my heart to see how much they loved their children. Mothers were carrying their babies everywhere, and fathers were tending to their toddlers. The young girls were very quiet, while the boys were loud, happy and playful. 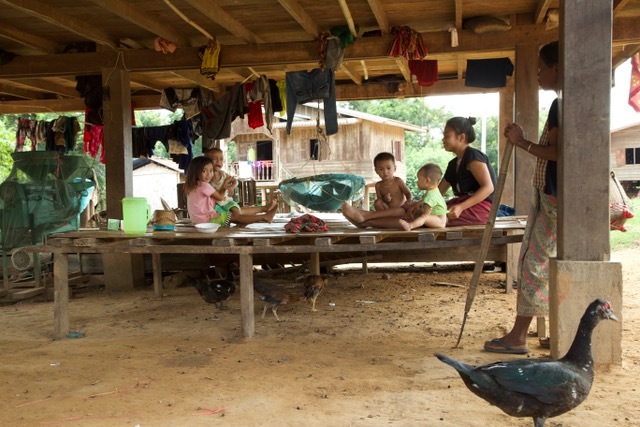 Still, the parents had to leave them behind every day to go hunting, fishing, to gather leaves, fruit and roots. It was the life of the jungle. 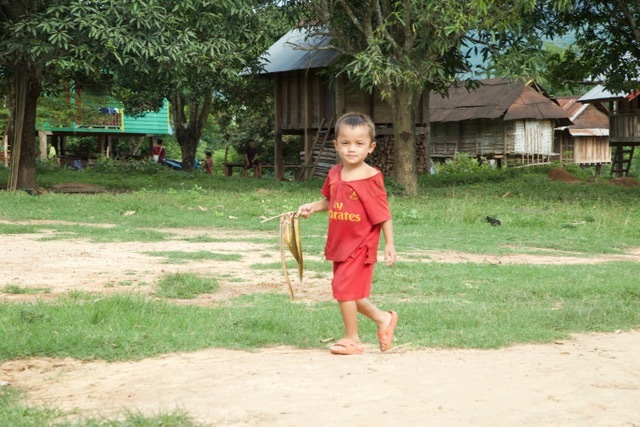 As I was lost in my own thoughts, a group of boys came running toward the village. They grinned as they showed us the fish they had caught in the river, proud to provide their family with dinner that day. Because life is just this; the constant struggle between work and play, between visions and reality, between present and future. Somewhere in the Lao jungle, between speared fish and extremely free-ranged chicken, there are children who understand this and who took it upon themselves to remind me of it. Who live for today while they dream of tomorrow. Selah. What a vivid description. My heart aches for the families that sacrifice so much for one child to be educated—even a neighbor’s child. You are so right. There is so much we take for granted because it has always been there. We don’t suffer lack in so many external areas. We don’t recognize empty regions in our hearts because the externals have masked them. I am mentoring a dear couple from Burma/Myanmar who are political exiles. What we gain from others’ stories humbles us, doesn’t it? God’s blessings of continued and magnificent grace for you and your beloved ones. It most certainly humbles us, Lynn! We are invited to grow in gratitude, all while stewarding well, gladly sharing with others. God bless you!